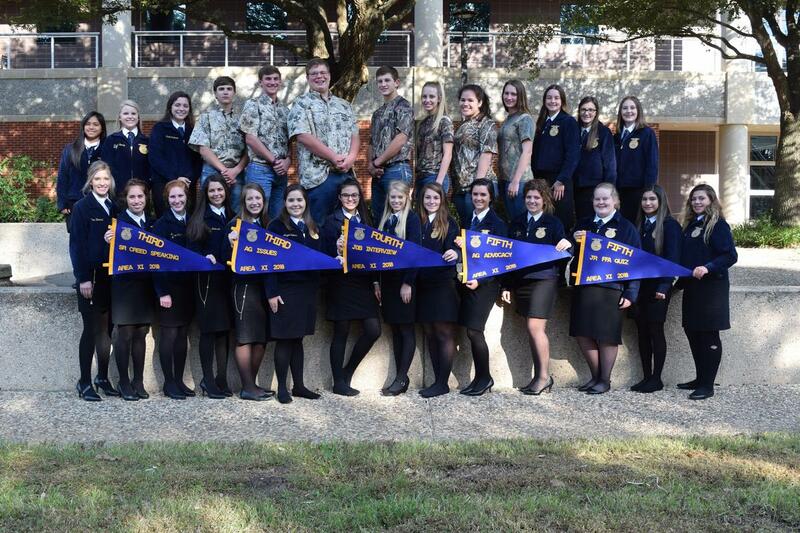 The EB FFA competed in the very first Area XI FFA Leadership Development Event Contest on Saturday, November 17, 2018 at Blinn College in Brenham. Nine teams, made up of 30 students had a successful showing at contest. In each event, there were 12 teams that qualified, with the top six receiving banners. Although none of the teams qualified for the state contest, we are very proud of their performances, as some of the teams were very close. We congratulate these students on a successful LDE season. The competition gets stiffer at the area contest and they performed to the best of their ability. Please congratulate these students on a job well done.